to their Historic Brochure at the end. may not have a lot, or in fact any, water in it. being fairly common. During the good times speedboat racing has been the norm! Wet or dry it is an important landmark. 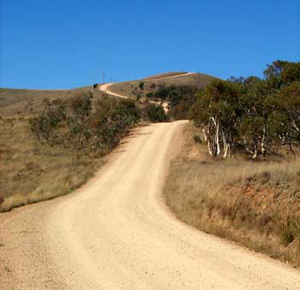 This view is from Mt Sam (or Sam hill) near Omeo during a dry summer. then beginning the descent onto the plains. 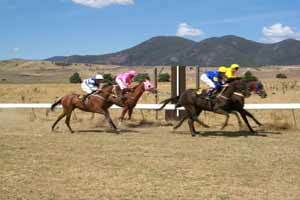 From here its just a few minutes to Benambra. and the Snowy River National Park. 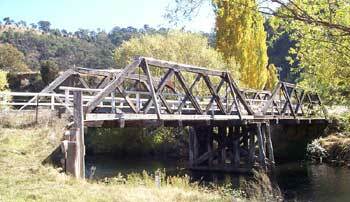 Bridge on the Mitta Mitta River. 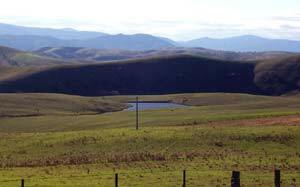 from Benambra to Omeo valley. 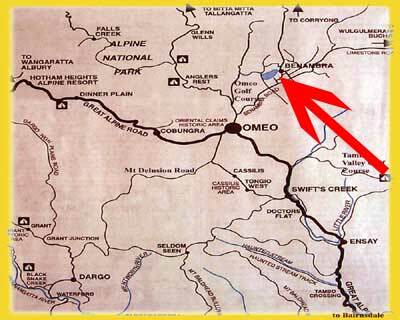 A brochure was created in 2006 by Benambra Neighbourhood house History Group which shows these routes and more of the rich heritage of Benambra.